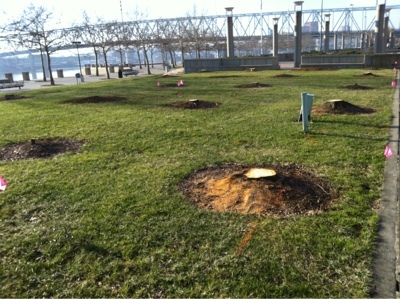 Cincinnati Parks wrote: "The Cherry Trees in the Grove at Sawyer Point/Yeatman's Cove were past their life span of twenty years and were dying. 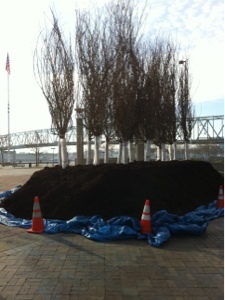 In order to keep formality, the trees are being replaced with slightly mature Cherry Trees. The project is scheduled to be completed by Spring of 2013." They didn't look dead to me.